Relieving businesses and people of the taxes they pay to fund these programs will allow them to use their own resources to hire and train people instead of relying on government to do it. Furthermore, there are several non-profit organizations already providing such services. Savings: $19,739,100. 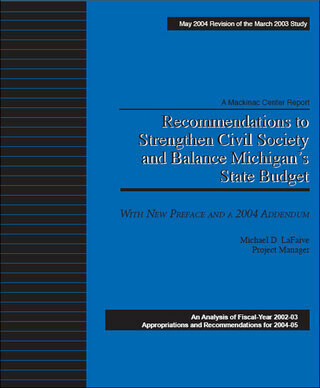 Governor Granholm’s 2005 proposal decreases the gross appropriation to $16,629,100.